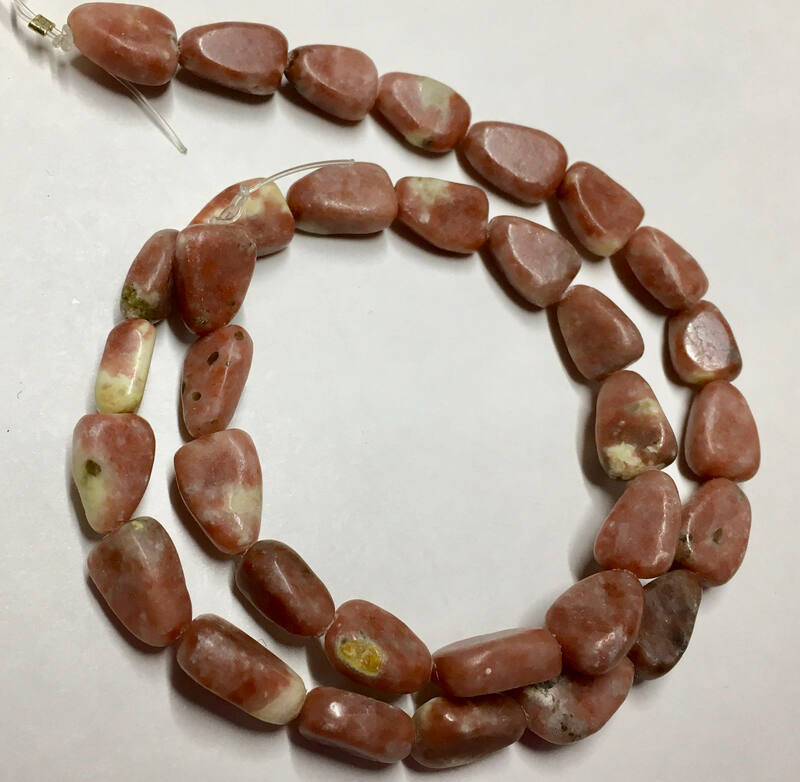 Pretty pink gemstone nugget beads - I believe this to be rhodochrosite, not rhodonite. Size varies from bead to bead, avg. of about 12mm x 8mm. 33 beads per 16 inch strand.